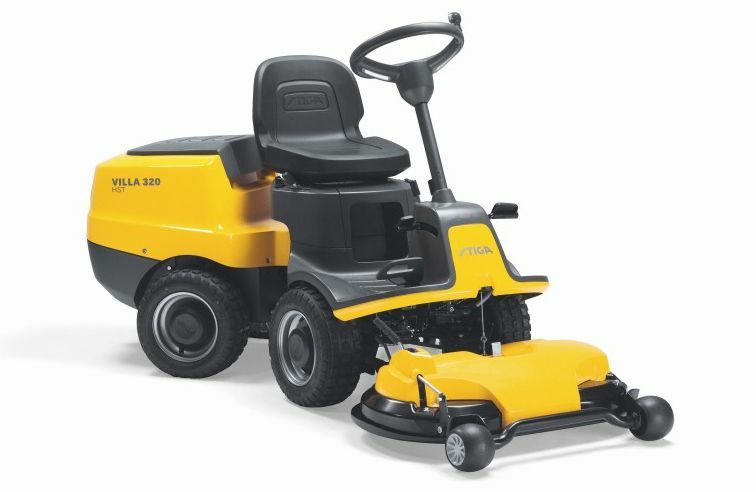 Enter the world of front cut mowers with this Villa 320 HST. An economical option for smaller gardens it is fitted with a reliable single cylinder Stiga engine, easily powerful enough to drive the 78cm Multiclip Combi cutter deck option. A comfortable adjustable seat, steering wheel and easily accessible controls takes care of driver comfort and ergonomics. Hydrostatic transmission allows you to select the correct ground speed for your terrain and the desired quality of cut buy a foot operated control pedal. The front mounted deck and upright driving position provide you with unhindered visibility. You don't run over the grass before it is cut and you can mow into corners and under shrubs very easily. With ten height of cut positions you're sure to achieve that all important lush green finish on your lawn. All Villas are built on a solid rigid chassis for durability. They have light and very precise rear wheel steering which makes them extremely manoeuvrable. 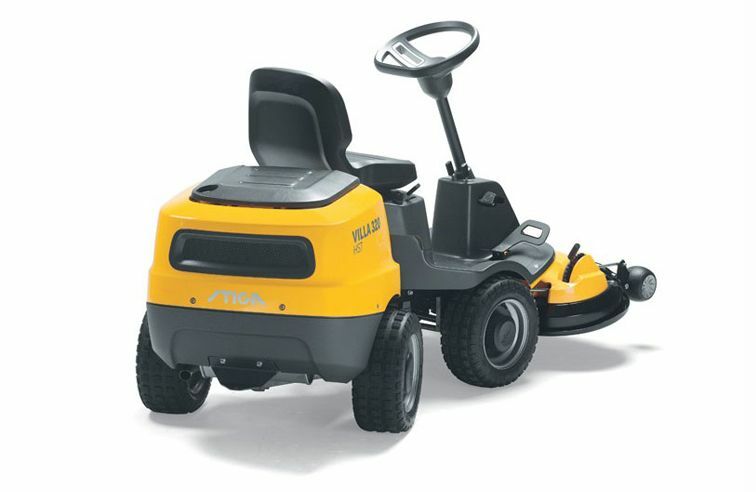 Coupled with Stiga's legendary front mounted Multiclip cutter decks, they offer all round visibility, superb control and a beautiful finish to your lawn.